The article appeared in the Peninsula Clarion on April 16. Bill Davidson, a U. S. Forest Service Student Trainee for Forest Health Protection this summer managed to capture a few great videos of one of our native horntails. While in Cooper Landing this summer Bill found Urocerus flavicornis in action on spruce logs that were cut as part of a fire wise program. Also known as a wood wasp, U. flavicornis is a wood borer that can typically be found on stressed, dying and dead spruce trees in Alaska. It is also commonly found in association with cut wood and saw logs. Although this insect looks menacing, it is completely harmless to humans. Global climate models from Germany (green), Canada (red) and USA (black) scaled to the Kenai predict that post-2030 mean summer temperatures will always be above the threshold for spruce bark beetle outbreaks. Observed temperatures are from the Homer airport since 1932. 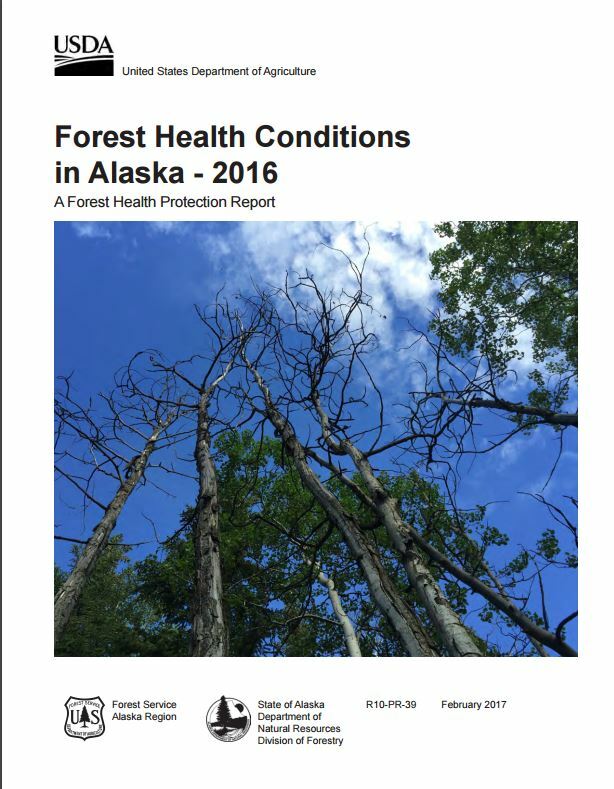 Lower bar graph shows annual beetle-kill for southern Kenai since aerial surveys began in 1971 (US Forest Service). Ed Berg graphic. The article (URI below) appeared in the Kenai National Wildlife Refuge’s Refuge Notebook series.